Leslie Feinberg's Stone Butch Blues is one of the most influential pieces of literature in the queer canon, especially for lesbian and bi women and trans people who found themselves included in the semi-autobiographical story of a gender non-conforming person moving through the world as a working class "he-she" in upstate New York in the 1940s, 50s, 60s, and 70s. The novel, first published by the feminist small press Firebrand Books 25 years ago, won the Lambda Literary Award for Lesbian Fiction in 1993, but has since been seen as a seminal trans text, with Feinberg's own identity "cross[ing] the cultural boundaries of gender," the author and activist coming to self-identify as both a lesbian and trans. Stone Butch Blues follows protagonist, Jess Goldberg, a gender nonconforming youth whose parents are less than loving, and whose peers are largely hateful, some even violent and sexually abusive. Leaving high school before graduation, Jess finds their people in the dyke bars of Niagara Falls and New York City, exploring the roles of butch/femme and experiencing police brutality for wearing men's clothes. They also find comfort in the factories and unions working alongside other butches, despite the harshness and bigotry that exists within the patriarchal hierarchy that dooms them to fail. Persistence, resistance, and daring to exist is Feinberg's message, executed through a kind of unapologetic storytelling detailing the truths of queer and trans lives at a time when even appearing to be LGBTQ was especially harmful. In their final years, Feinberg fought to recover the rights for Stone Butch Blues, which was out of print for several years after secondary printer Alyson Books folded. After winning the book back, Feinberg released it as a free PDF on their website. Then they self-published a 20th anniversary copy/author's edition in 2014 that was accompanied by a new introduction. "I had to work to recover my rights to Stone Butch Blues," Feinberg wrote. "When the first publisher went into Chapter 11 court, I had to spend thousands of dollars of my wages on legal fees to recover the right to this novel. ... While very ill in Spring 2012, I recovered my rights again." Feinberg went on to assert that despite requests, their wish was for Stone Butch Blues to remain as they created it, free of any adaptations. "Don’t tell me you’re honoring me by saying you can tell this story better than I did," Feinberg wrote. In the next section titled "No movie version," they continued: "I worked briefly on a movie version of Stone Butch Bluesuntil I discovered that the producer’s prospectus was trying to raise capital from investors by offering a sexual fantasy: an invitation to watch butches being raped by police. I requested that no movie be made; I don’t believe any movie can be made true to the intention of the book." They also go on to assert: "No permission for derivative use," lamenting their experience with a cartoonist who wanted to create an illustrated adaptation that they found to be false. "I do not give permission for Stone Butch Blues to be re-written based on someone else’s imagination," Feinberg said. Feinberg died in 2014, the same year the 20th anniversary edition was published. Their partner, Minnie Bruce Pratt, is now the executor of Feinberg's literary estate but does not wish to comment publicly on Feinberg, which were also Feinberg's wishes. Instead, she points to the messaging from Feinberg as listed not just in the 20th anniversary edition but on Leslie Feinberg's website. 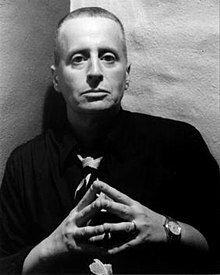 So when news of a film adaptation of Stone Butch Blues was announced earlier this month, the conversations around Feinberg's final requests became public discourse, starting with an article on Slate titled "Making Stone Butch Blues Into a Movie Is an Insult to Leslie Feinberg’s Legacy." The author points to a casting call for Jess, as posted on Backstage, that reveals information on the production, slated to start shooting this fall in Buffalo, New York. "Based on the book by Leslie Feinberg, Jess begins their journey growing up as a masculine girl in 1960s blue-collar Buffalo, struggling with identity and self-acceptance in the pre-Stonewall era," reads the production description. "When Jess begins working at a local factory with butch women by day and frequenting the local underground gay bars at night, Jess finally finds some semblance of community. Eventually Jess comes into their own as a passionate union leader in the factory. Jess begins to take testosterone, alienating Jess from the Buffalo community and those closest to their heart. When Jess travels to New York City, they begin to glimpse at a new sense of self, hope and home." The adaptation is being helmed by 11B Productions, founded by Jelayne Miles of the Emmy-nominated trans-focused series We've Been Around. Feinberg was featured as part of an episode about Camp Trans. In 2016, Miles told Scenester.TV that she "knew and marched with Leslie Feinberg" and that she was making the feature film version of Stone Butch Blues to work toward "furthering the charge to fight transphobia with trans voices." On 11B's website, her bio reads: "A successful entrepreneur and business executive, Jelayne is also a principal in Frontier Fiscal Services, a finance company she heads with her husband, Dean Throntveit, serving the oil industry throughout North Dakota and Montana." In 2015, Miles filed to create Stone Butch Blues LLC, less than a year after Feinberg's death. Rosie Haber—a gender nonconforming writer, director, and producer—wrote the "Camp Trans" episode of We've Been Around, and was hired to write the new Stone Butch Blues adaptation. Haber did not wish to go on the record regarding the project but said they were not aware of Feinberg's wishes against adaptations. It would be odd that Miles wouldn't have been aware, as it appears she was behind the original adaptation that Feinberg spoke out about, unhappy with the cinematic version that was in progress as of 1994. In a Winter 1994 press release published on Queer Resources Directory, that early adaptation was said to be optioned to Miles and Against The Tide, with Feinberg adapting the novel to a screenplay. "Against The Tide Productions can deliver what movie audiences are asking for and what they have demonstrated they are willing to pay to see," the press release reads. "We will bring them Stone Butch Blues." In an e-mail to INTO, 11B productions coordinator Sephora Rosario-Soto said they have no response at this time. Despite any good intentions 11B might have (and any possible legal standing they may have from the first optioning of the book in 1994), it's hard to deny that Feinberg's wish for their novel to remain a novel and that any reproduction would be against their desires, even in death. Backstage's casting description for Jess referred to the character as: "Transgender, 18-28: masculine, gritty, working class, vulnerable, defiant, gender outlaw. Seeking transgender and gender non-conforming actors on the trans masculine spectrum. Open to trans men as well as non-binary actors. Note: Jess presents as a butch female at the beginning of the film, but takes hormones to transition to male for a significant portion of the film. Actors who plan to medically transition but haven't yet done so or are in the early stages of transition are strongly encouraged." The ethnicity is specified as "Caucasian," which Slate took issue with as Feinberg and the character of Jess Goldberg is Jewish ("Despite this being an important part of the character’s background, the casting call has no mention of Judaism and no request for actors with Jewish heritage or experience playing Jewish roles"), as well as making the point that Feinberg was fiercely proud of not specifying any ethnic or racial identifiers for any of her characters. "A lot of people say it’s cinematic, but they are seeing it projected on the screen of their own imagination," Feinberg wrote. "I made a decision in writing Stone Butch Blues based on my anger at seeing how many white writers used whiteness as a default and only described a character if they were of color. Based on my anger at writers who only used thinness as the default and only identified characters as being fat, at writers who didn’t name a character if they were able-bodied or didn’t have a disability, but did label them if they did." "I decided I wasn’t going to do that," they continued. "In Stone Butch Blues, we discover the characters through their reactions to racism and other bigotries. I don’t name who the characters are. I don’t tell, I show.That means that different people who read this book may have different views about the sizes, and shapes, and abilities, and so forth of these characters. And as readers those are all valid experiences." Julie Enszer, a scholar, editor of lesbian literary journal Sinister Wisdom, and friend of Feinberg, tells INTO she believes Feinberg's want is for filmmakers and other creatives to be inspired by her work—but in order to create their own. "Films that are direct adaptations require permission from the literary executors and in this case, Leslie's estate. And it sounds like there was a process that Leslie had with the book that they didn't really want to see that happen," Enszer says. "So I think creative people responding to the book have to then rethink and if permission isn't forthcoming, there are other sorts of projects that are not adaptations of the film but using the book as inspiration. And I think that, to me, I think that's the thing that's part of at least as I read the introduction to the 20th anniversary edition, that's part of what I read Feinberg as saying, that 'I created this work and it's not going to be adapted, but you should take this as an inspiration and go out and do your own work." Enszer is also a professor (currently adjunct at the University of Mississippi) who has her students read Stone Butch Blues. Twenty-five years after publication, at a time when the shifting views, phrases, and thoughts on sexual and gender identity have begged a revisionist or revolutionary look at previously hailed texts that could appear dated, Enszer says her students find "the book and the characters as sharing very contemporary concerns as their own." "They certainly recognize that it's a narrative about the past and about coming out and thinking about gender identity and trans issues in slightly different terms than people think about them today but still definitely progenitors; people laying a foundation," Enszer says. "And so students really connected with it and found it really quite inspiring." Feinberg's ability to speak to and for both the lesbian and trans community was through a kind of lived experience—one that might be hard for filmmakers to translate. "There's always lots of contestation around trans issues and butchness," Enszer says. "How do we understand butch/femme relationships? What's the relationship between butch women and trans experience? And I think Feinberg really was thinking a lot about those issues and resisted them in their lifetime, any easy answers about it. And the book resists—the book does not vilify in particular female or lesbian butch experience. It does think about different medical interventions and doesn't see those as panacea. I think that continues to raise questions that vex readers who want easy or circumscribed answers." Feinberg's wish to dictate their own identity (or, perhaps more accurately, identities) is directly related to their ownership of Stone Butch Blues. What Feinberg stood for was, as Enszer notes, "groundbreaking intersectional feminism" that was inclusive of trans people, the working class, and other oft-ignored groups, like queer and trans people who lived outside of major metropolises. They were, by her own account, a revolutionary communist and an anti-capitalist. "That was a really crucial part of her work, and to me, it's a really crucial part of the book and a crucial part of her work overall," Enszer says. "That revolutionary socialism was the kind of core part of [their] analysis, and I think it's an important part of Stone Butch Blues but I think it's also easier for people to overlook and I think Feinberg really wanted that analysis to be a part of that legacy." Needless to say, Feinberg would not take kindly to any Hollywoodization of their story, their work, or themselves. "As a communist, I am for abolishing ownership by the 1 percent of the socially-built apparatus of production," Feinberg said in the 20th anniversary introduction. "Workers and oppressed people—already doing the work of the world every day—can run that productive apparatus to make historically overdue reparations and to meet the needs and wants of the 99 percent. ... But the capitalist deeds of ownership that say the 1 percent owns everything that has been produced by collective labor, both enslaved and waged—those deeds are fiction and should be torn up." "And on the day those paper deeds of ownership are torn up, it won’t matter about protecting Stone Butch Blues anymore from commercial exploitation," Feinberg continued. Perhaps that time has come. >> The article above was written by Trish Bendix, and is reprinted from INTO.